Hey there. How are you on this fine Friday? I can’t believe it is already Friday. I have had that feeling of forgetting what day it is because i’m on break and to be honest, it feels good. 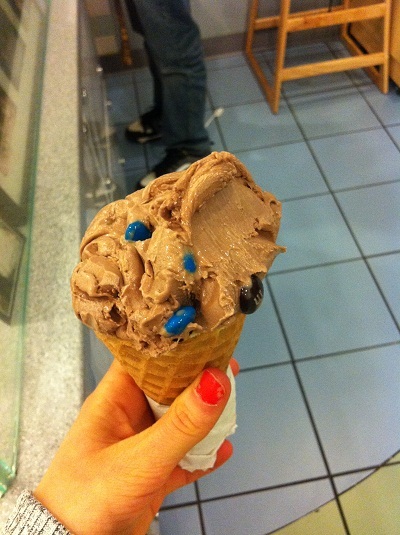 Mall + ice cream + going out to eat with friends. 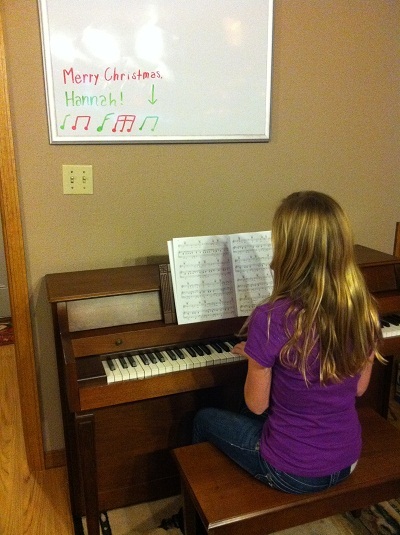 Hannah got a piano for Christmas. I love listening to her play! She like to play Katy Perry and Lady Gaga songs… I’ll post a video soon!! Homemade peanut butter! Recipe to come soon.. when I figure every thing out with ingredient amounts, etc. 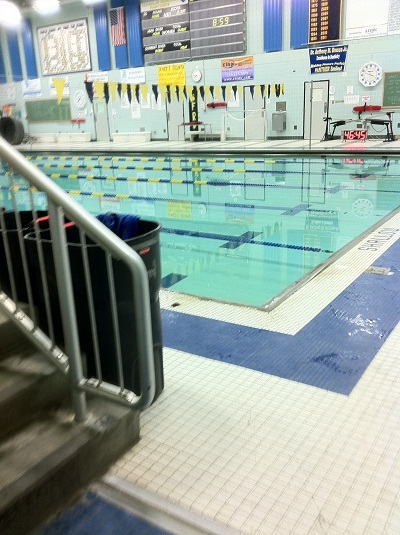 Master’s swim practice.. waking up @ 5 isn’t fun, but i’m always glad when I go. New favorite drink? Peppermint mocha!!! Alright, i’m off to enjoy life some more! those are some precious time, full of happiness. Okay minus the 5am wake up. hehe. 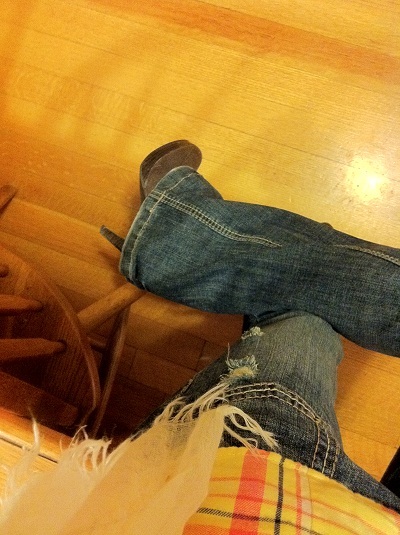 There are so many things that I love in this post! Sounds like you are having a great break! I wish I could wake up at 5 and get a workout in- you are so right though, it always makes you feel better to have accomplished something before most people even get up. 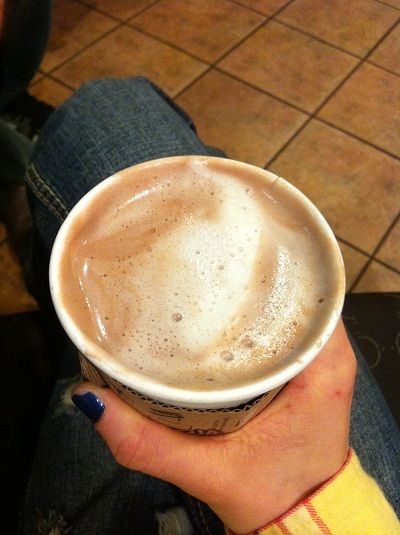 Peppermint Mochas are amazing :). Your break sounds perfect! I am going to be channeling some of your energy for the next week. I spy Pittsburgh Mills! Sounds like a fun break! Gah I wish I were close to you and we could swim master’s together! The closest team to me is at least 30 minutes! 😦 Looks like you’ve been having fun though! Sleeping in is the best! 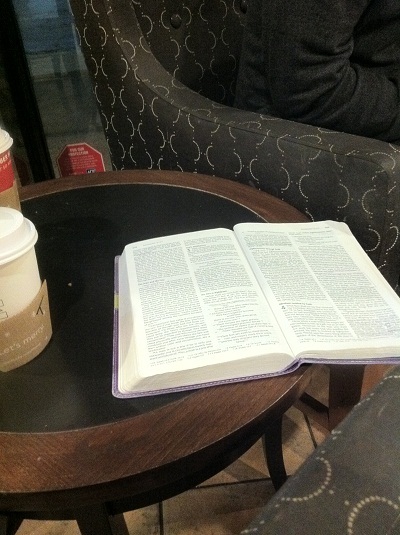 Love your pics on your blog, and i love the fact that you write about God. Have a great week.